Yesterday was my third full day in LA and was also Yom Kippur. I decided to fast this year, which sounds less dramatic than it was. Though I did joke with my roommate that if he didn’t agree to get dinner with me, I might eat his dog before he got home. With proper pressure applied, we broke the fast over some amazing street tacos at Merced’s in Long Beach. 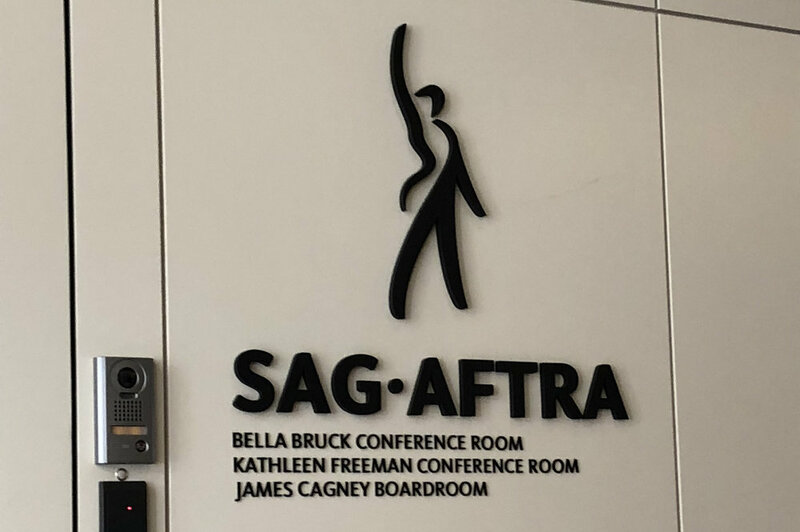 Instead of going to schul during the day, I went back to the SAG-AFTRA office. This was my second day there. Day one I attended an introduction to the new Short Project Agreement (SPA), which is replacing the low-budget short film agreement and is the perfect contract for one of the top projects on my list of things to do. However, on Yom Kippur, I attended the SAG-AFTRA member orientation. Granted, I’ve been a member since 2014, but it’s nice to check in and review all the reasons why I am a proud union member, and also ways I can be a better, more involved union member in the coming year. There was also some great opportunities, programs, seminars and resources I learned about in the LA local that we don’t have access to, or as much access to, in Chicago. It was a three hour seminar, as well as about two and-a-half hours in the car round trip (there was an overturned semi truck that lost it’s cargo container on the 405). So, with all that time to sit and contemplate, it was kind of like I was in temple for the Yom Kippur service. It was long, I couldn’t go anywhere, and I had a lot of time to think. And I did a little thinking about this time of year. “To those I may have wronged, I ask forgiveness. To those I may have helped, I wish I had done more. To those I neglected to help, I ask for understanding. We are supposed to say, "Gmar Chasima Tova” during this time, which essentially wishing that the fate that is written on Rosh Hashanah for the coming year is a good one. The period between Rosh Hashanah and the end of Yom Kippur is one’s opportunity to change what’s written for the better. I don’t know if I atoned “enough” to change “what’s written,” if such a thing exists. I know I made mistakes in 5778. I also know I made a lot of changes this first week of 5779. I came here with a lot of good wishes and a lot of support. I feel very blessed and very loved. So, with that thought and intention I reinvest and recommit to 5779. This blog may be a little all over the map, but my focus is not. With this chance I’ve been given, I’m gonna be driven as hell.